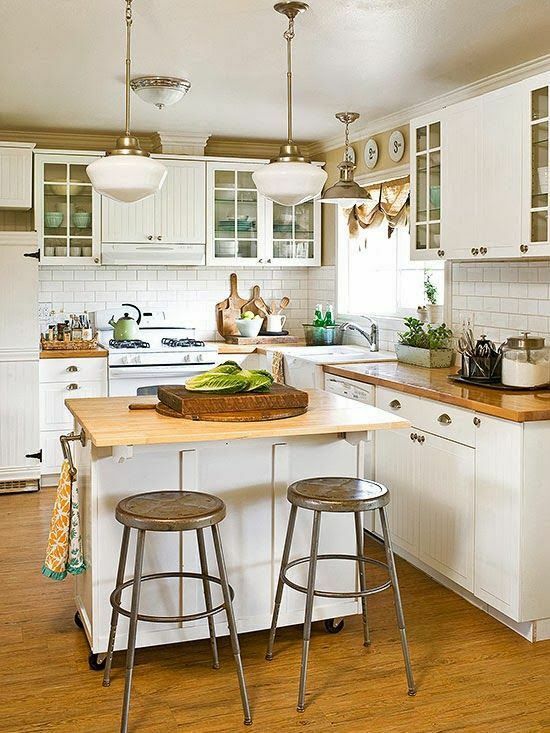 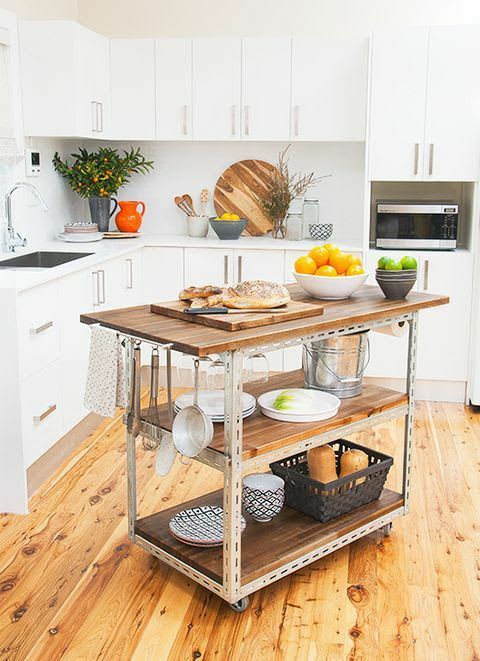 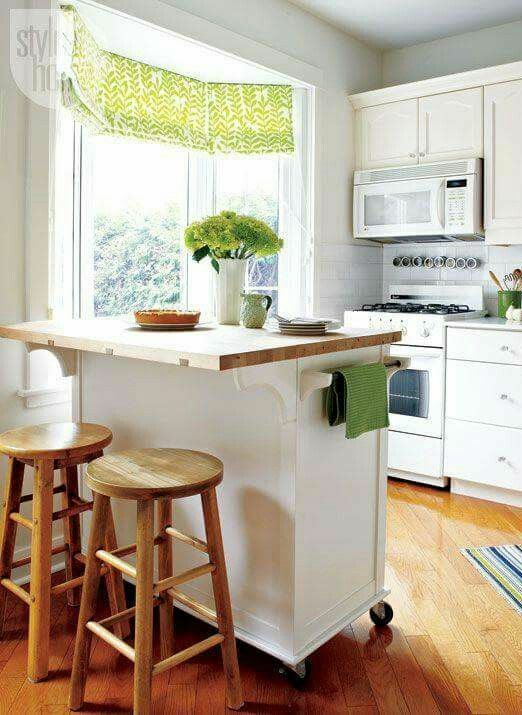 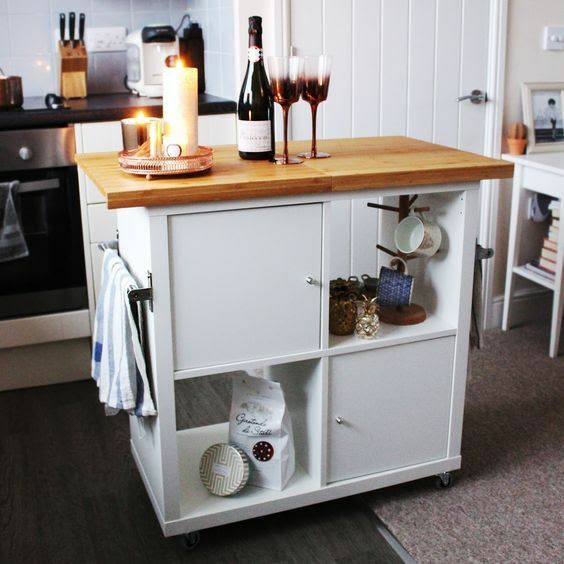 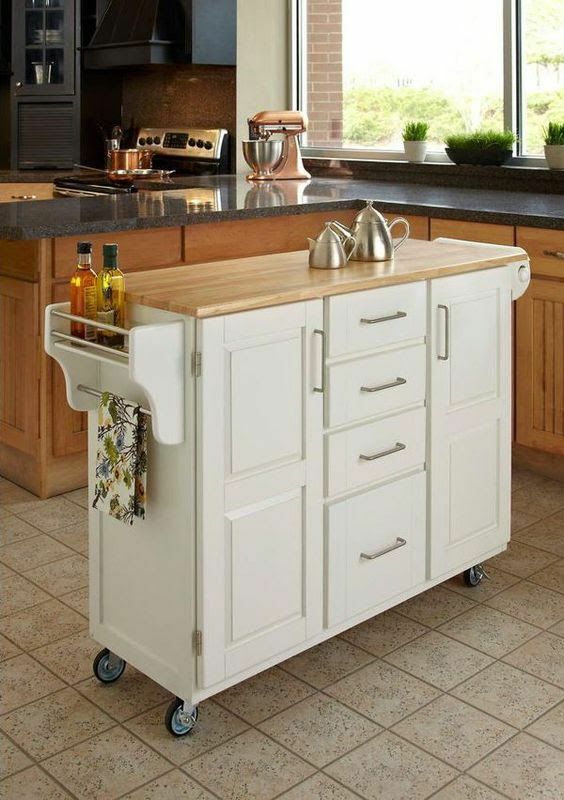 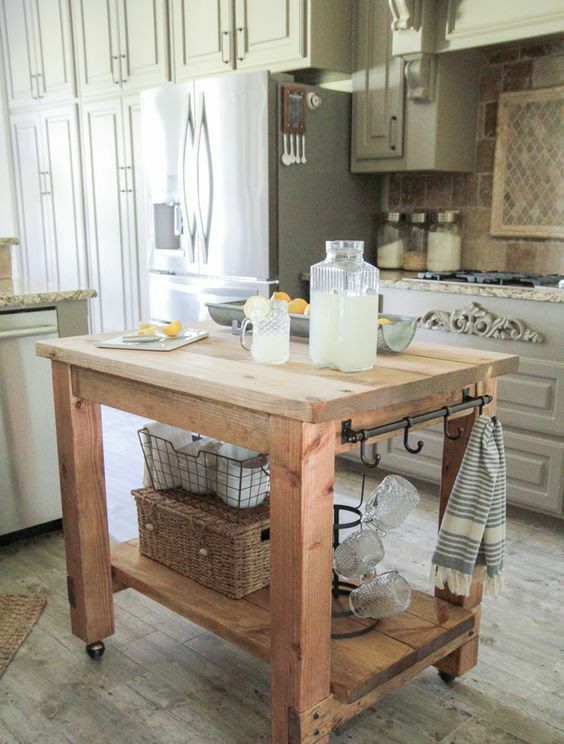 A small mobile kitchen island is a great idea for any kitchen – whatever style you choose, casters will make it portable, which is perfect for a tiny kitchen – it means that you’ll be able to move it anywhere you want when it’s not in need. 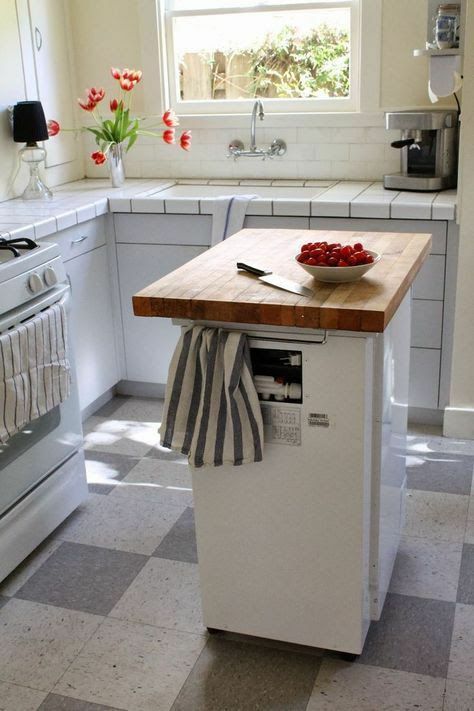 The tabletop for having meals can be foldable or you may just use the whole countertop. 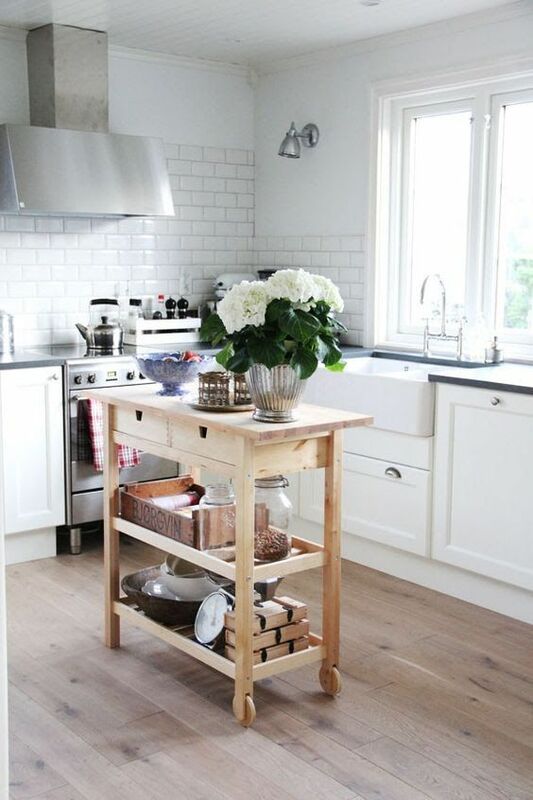 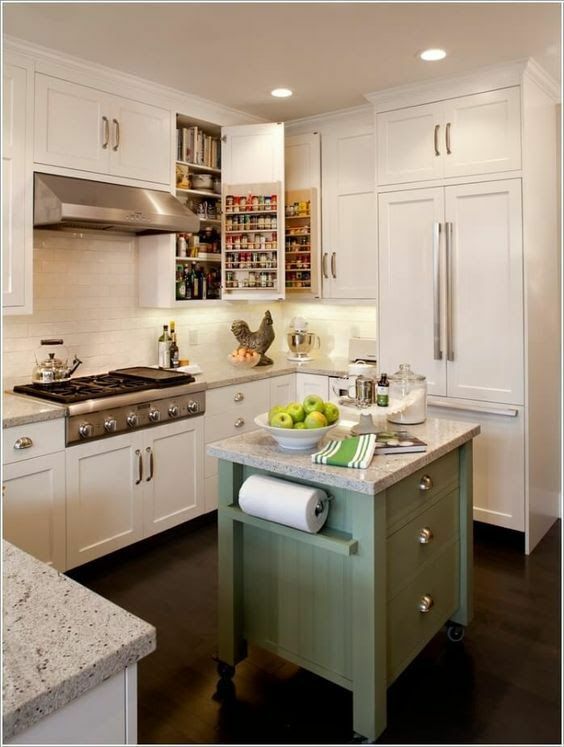 Open shelving underneath the tabletop will give your kitchen island an airier look, and drawers and closed compartments will declutter the space.